It seems that distressed fabrics are having their thing. I’m always slow to jump on things fashion trends, but once in a while, it’s kind of fun to just experiment and see if you might possibly like something. Refashions are one of my favorite ways to experiment with fashion. Your investment in the project is low, so if it’s a total flop, no love is lost. And if you really like the end result, you may just gain some fuel in your creative tank for future projects. 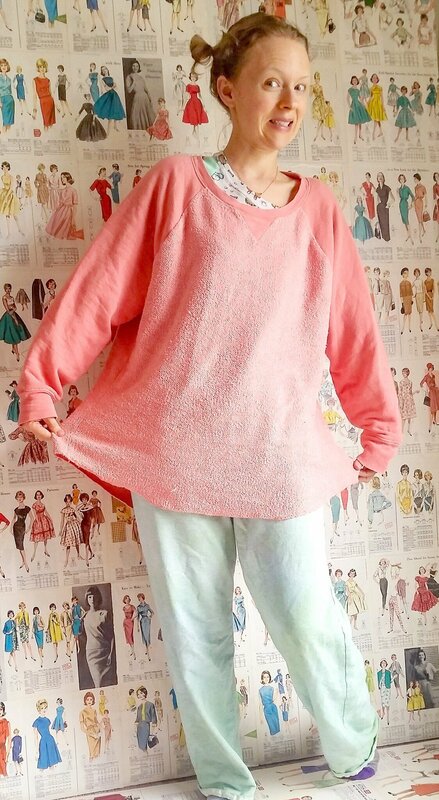 With that in mind, I set out to make this distressed sweatshirt refashion. In the mornings, I am always cold. 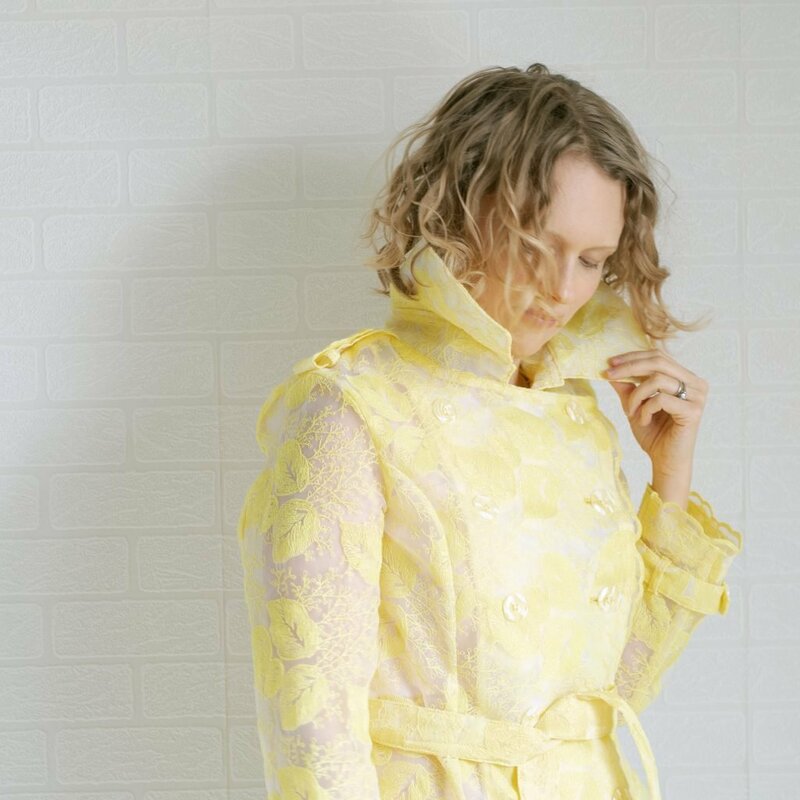 I don’t like wearing kimonos (not warm enough, giant sleeves that get caught in my breakfast), and a jacket is not necessarily how I want to start the day. For years, I’ve always grabbed a white very oversized sweatshirt hoodie. 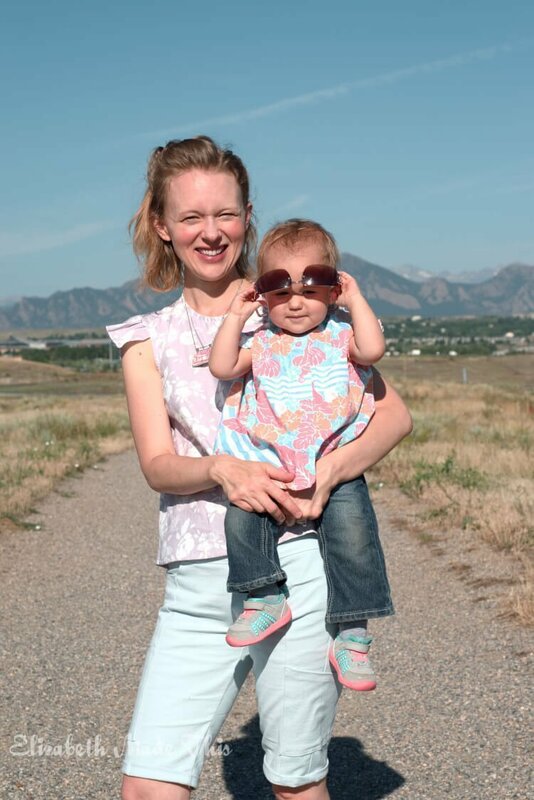 It went through all of my pregnancies from week 0-40 and back again and all that postpartum time too. By the end it was really gross. In its stained and shredded state, I donated it and started wearing my husband’s hoodies. No I don’t eat salmon in my oatmeal. That strikes me as odd, and not something I’d want to eat in my morning hoodie wearing session. 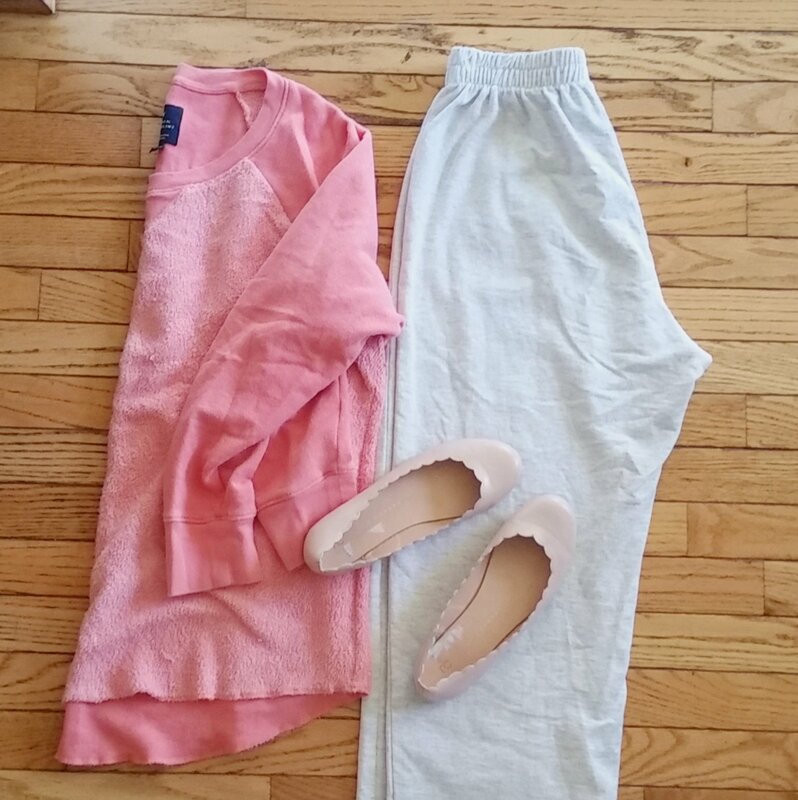 But thrifting did yield me a pair of oatmeal colored heavy french terry sweatpants as well as a salmony pink xxl french terry sweatshirt. I instantly loved the salmon, but the oatmeal was too boring for me despite it being nice fabric. To remedy the situation, I dyed the sweatpants with Rit DyeMore Kentucky sky. Because I wanted a little more depth, I added 1/2 capful Rit DyeMore in Daffodil yellow to the dye pot in a couple of places. I did not agitate the yellow once I added it; instead I let it spread out in the pot naturally. What I ended up with was a fabric that was sky blue in places and a bright springy green in others. So what does all this have to do with distressed fabric? Well, while I liked both of the colors after I dyed the sweatpants, it wasn’t obvious how they would go together. They’re nearly on opposite sides of the color wheel and I had no middle tone that could pull them together. I thought and thought until someone in Sew Much Talent popped up with a simple t-shirt made in distressed jersey. The wheels started spinning in my head, and I thought I could connect them together if I slashed both colors and backed them with the opposite color. The brand Generation Love has several distressed sweatshirts that are worth checking out. 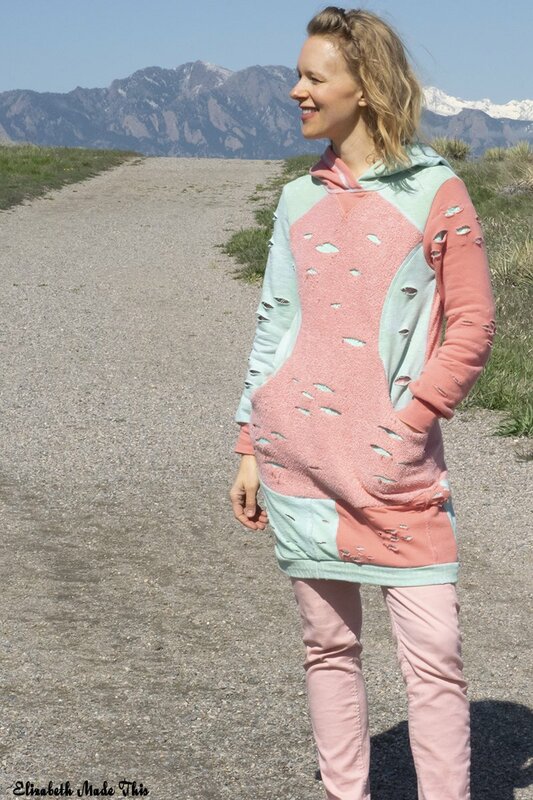 This sweatshirt pattern is very long–it’s nearly knee length on me. 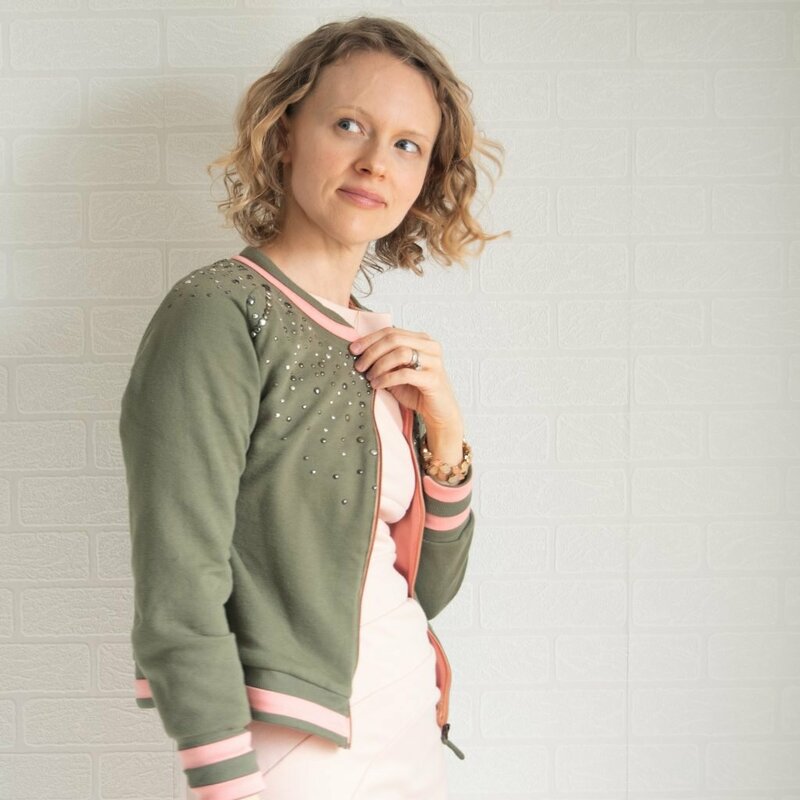 Unlike some of the sweatshirt dresses that are out there (Victory Patterns’ Lola comes to mind), it’s not super boxy and has some good shaping with princess seams in the front that end in deep, cozy inseam pockets. Because of the length, I had to do a lot of creative piecing with the pattern. One of the things that I love about refashioning is how it forces you to use every scrap available. So it was with this refashion. There’s seams in weird places that would never be there on a garment made from yardage. It’s a look that’s either crazy cool or just crazy. In the end, I had about a 6″x6″ square left from both fabrics. For most of my colorblocked projects, I will sketch out possibilities before I start cutting into fabric. It’s kind of amazing how many different looks you can get by just moving colors around a bit. For this one, I just kind of made decisions as I went along based on the limited yardage I had available. I really like how some parts of it turned out. The bi-color hood is a favorite, and I used the right and the wrong sides of the both french terry colors for a subtle difference in places. To achieve my distressed look, all of the sleeve pieces and the front pieces are underlined. 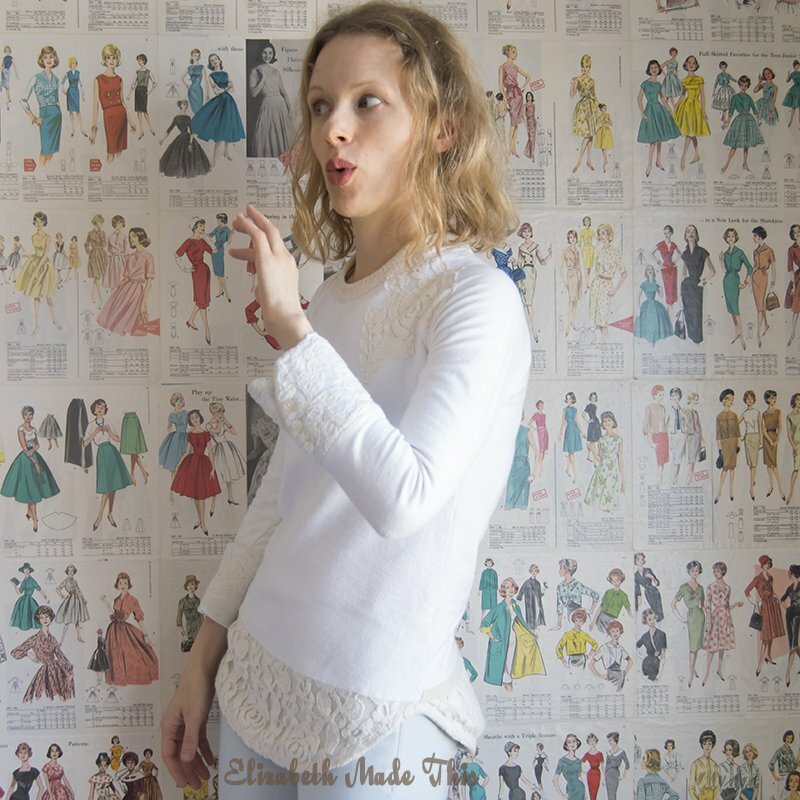 The green/blue is underlined with a salmon colored stretch lace (refashioned from a top). For the salmon french terry, I used a seafoam quilted ponte leftover from another project I’ve not yet blogged. Before I underlined everything, I used my rotary cutter to make horizontal slashes at random on the pieces. I pulled at them *gently* to open them up a bit. French terry has very little recovery, so it distresses really easily. For this one, I didn’t use my serger. Of late, I’ve been using my regular sewing machine to sew seams on heavier knits like this, and then using my coverstitch to topstitch. The coverstitch adds to the casual look and it does a nice job of flattening down these heavy seams in a nice professional looking way. Our weather has been, and is very fickle in Spring. One day it’s 70, the next, there’s snow. This has been a perfect sweatshirt for this time of year. The day I took these pictures, it was about 45 and brazenly sunny. I won’t be slashing up my fabrics anytime soon, but it was good to do something out of the ordinary for this project. Sometimes I think it’s too easy to get stuck doing the same thing, making the same kind of garments the same way. There’s nothing wrong with that, especially when you’re tired or your sewjo is gone, but there’s days that it’s good to push yourself to try something new. If for no other reason, try something new so that you can have an opinion about it. 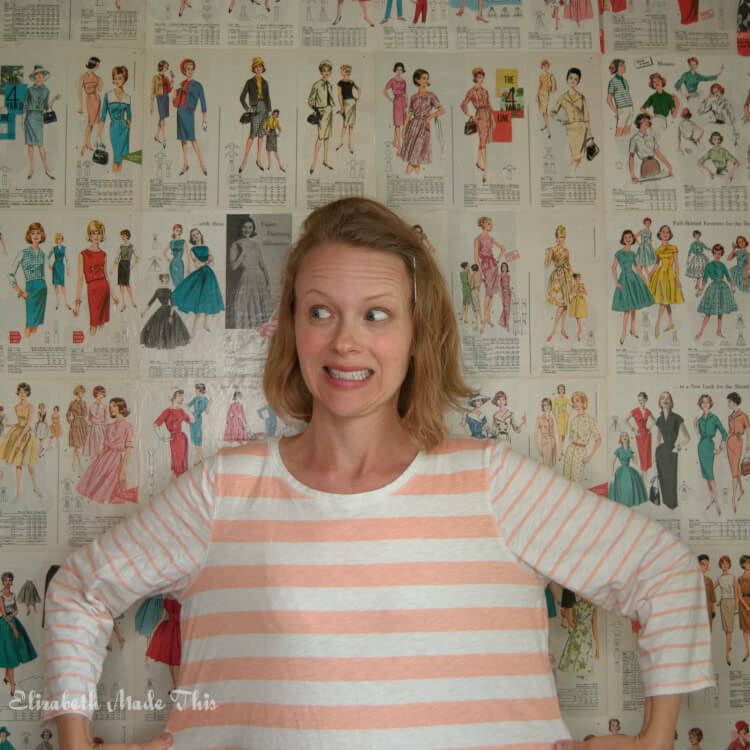 What’s the biggest risk you’ve taken in your sewing? 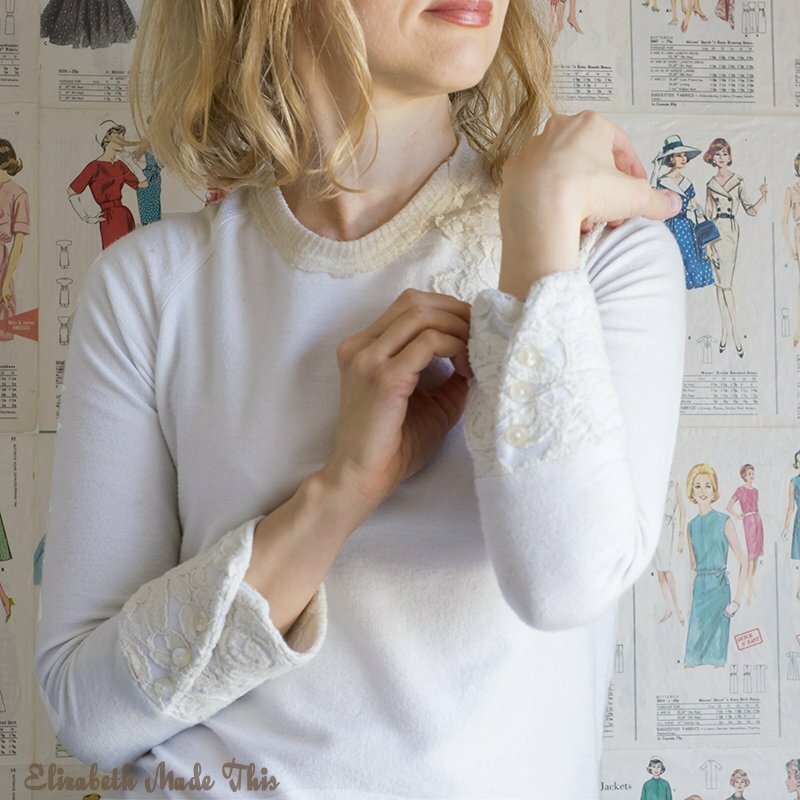 Toaster Sweater hack: lace backs and zippers! Could I make this? You bet. To start this hack, I pulled out a white French terry from my stash. I’ve never known what to do with this fabric. It has a great stable hand, but it’s so white! 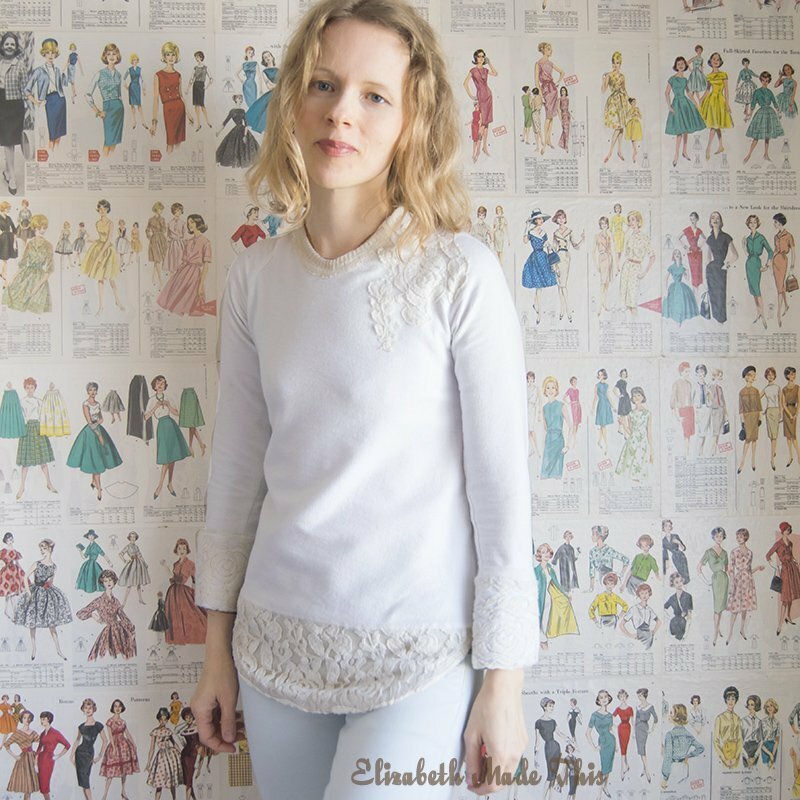 While I generally believe that plain fabric is a blank canvas, I restrained myself and opted to pair the French terry with lace I reclaimed from a thrifted sweater. I’m a sucker for cream lace, and this one was way nicer than a thrifted sweater has the right to be! 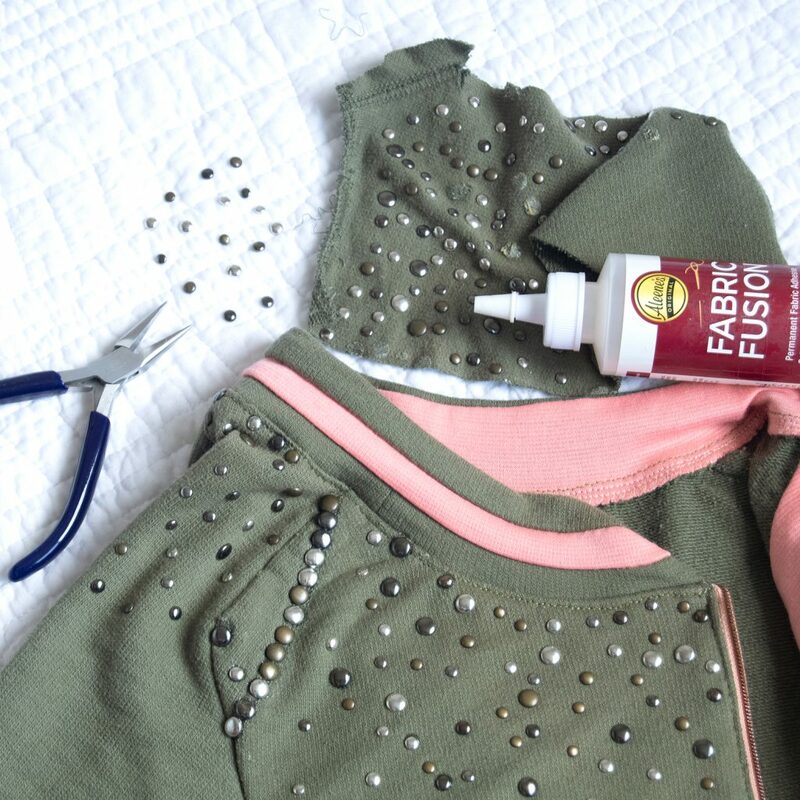 The first part of this hack involves creating the zipper in the back piece. I stabilized the area with fusible interfacing and did an exposed zipper treatment right at CB. You must hem the back piece before adding the lace piece. This is because the two layers will be sewn as one, so there’s no opportunity for hemming later on without ugly unpicking. The zipper itself is a really fine coil metal look zipper I picked up at the FIDM Scholarship store. It’s a separating zipper, but I used it anyhow. I’ll never zip it all the way to the top, so I’m not concerned about it actually separating. 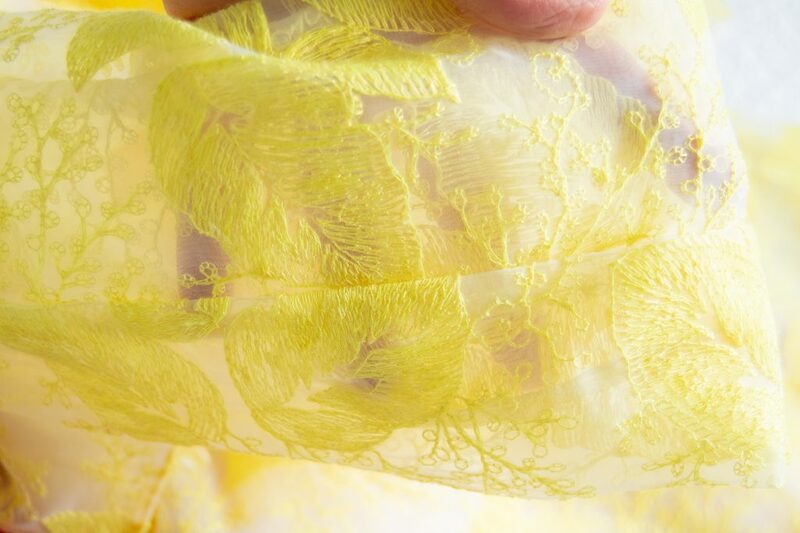 For the next part of the hack, you cut a layer of lace with an additional curved hem. To get the additional curved part, I simply added on 5″ at CB that curves back to the side seam. I used a French curve to make a nice clean curve. The lace layer is then basted to the back. From there you treat it as one. Since I was reclaiming yardage from a sweater, I actually had to piece the back. I ran a line of Steam a Seam to fuse a the curved hem addition to the back. A row of stitching on my coverstitch makes for an almost imperceptible flat seam. I love piecing knits like this because there is no bulk. The front is a bit of a fake-out. 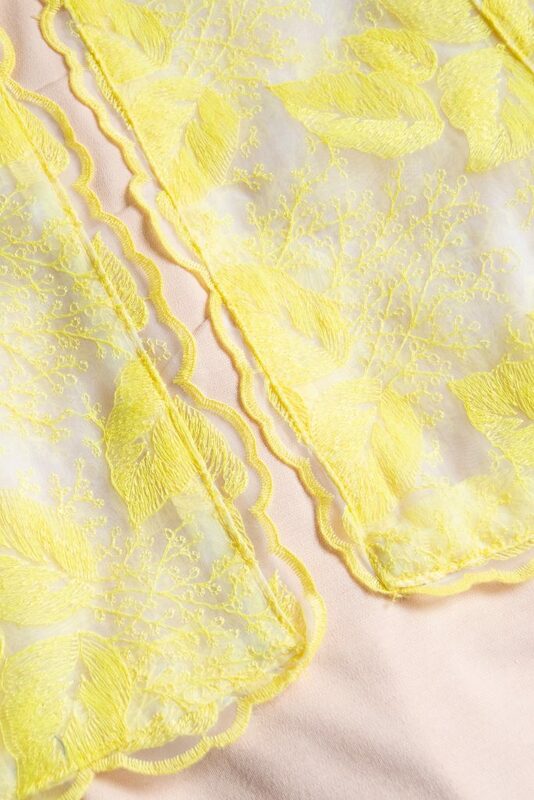 Instead of a full double layer with the lace, there’s only the curved hem piece of lace on the front. Make a similar curved piece addition, this time just 4″ at CF curving back to the side seams using the French curve. Overlap the French terry and the lace by 1/4″ (again, Steam a Seam is a great tool here) and stitch in place. I used my coverstitch again here, though a standard zigzag would work just fine too. From there, you construct the sweater as the instructions would have you do. I used the ribbing on the sweater as a neck binding instead of the binding piece, so mine is narrower. The hem ribbing from the sweater is a hem facing for the lace. This is not part of the Athleta look, but I wanted to add some fancy cuffs that highlighted the beauty of the lace. For my cuffs, I made a little tulip shape by extending the sides so that they curve upwards on 1 side. For each cuff, I cut a piece of French terry and the lace without its lining that was in the sweater body. To sew them, I put right sides together and stitched the curved ends. Then you overlap the ends so to fit the circumference of the sleeve and baste together the layers. To finish them, you stitch the cuffs to the sleeves in the round. I added non-functional buttons because they’re pretty. I hate seeing good lace go to waste, so I cut out a large motif from the scraps of the leftover lace. It is simply stitched over one of the shoulders with a narrow zigzag. 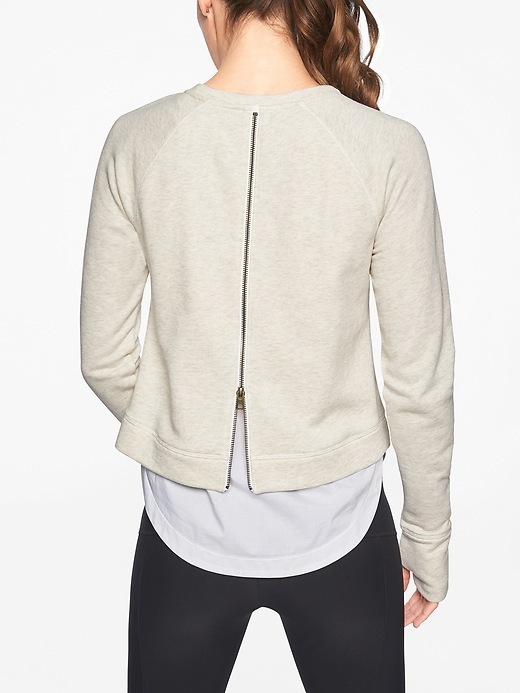 I think the Athleta top has that kind of urban cool, I just came from the gym and am going out for sushi in my track shoes kind of look that I will never achieve/be interested in. Dude, my hair doesn’t do that perfect voluminous ponytail. Instead, I had a great time reinterpreting this style into the more sporty ultra look that’s part of my everyday Mom look. 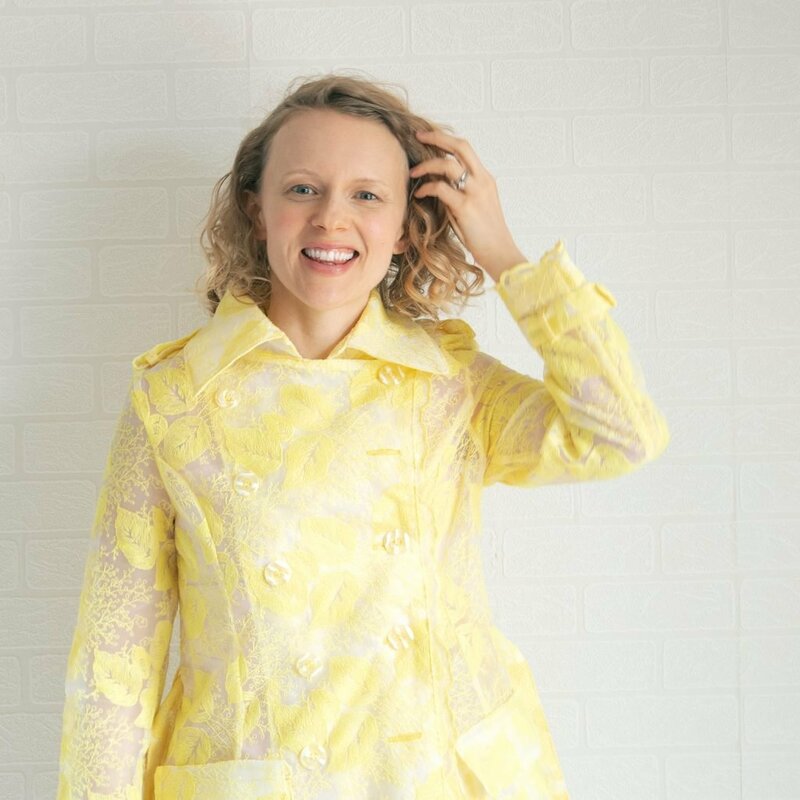 How do you reinterpret fashion looks to fit your lifestyle? I never got around to posting this dress. I suppose I didn’t want to spoil it since it appeared in the Winter 2018 edition of Altered Couture, but in truth, I simply forgot about it. A mish mash of patterns and colors, this shirt dress from shirts was a fun project to play with color. 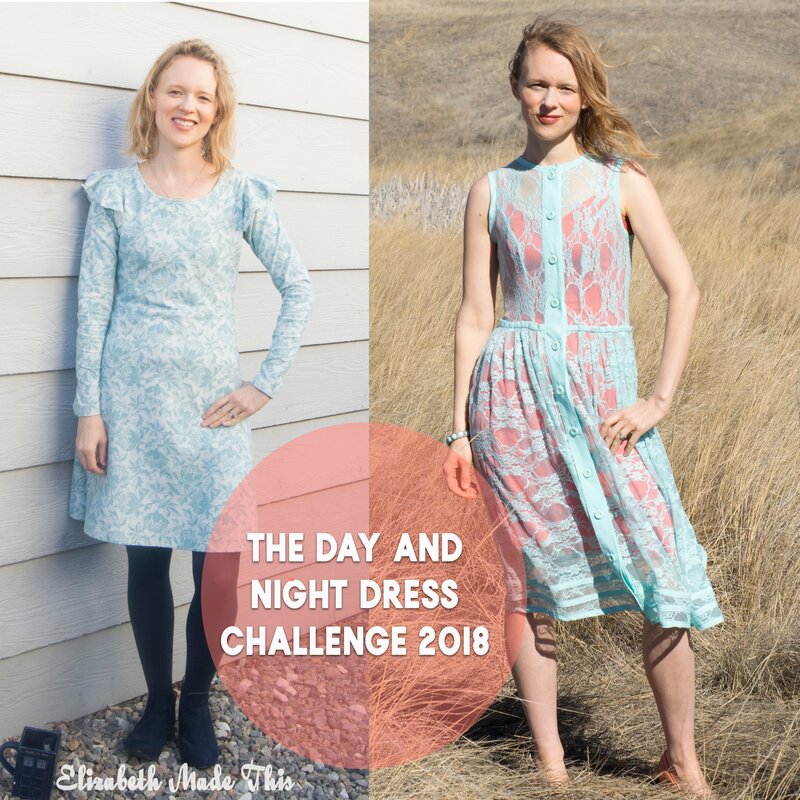 While this isn’t my coffee dress for The Day and Night Dress Challenge, I wanted to share it today. It’s a good example of a style choice for your casual coffee dress for the challenge. I haven’t mentioned it, but the past few weeks I’ve been a part of competing on So You Think You Can Sew. 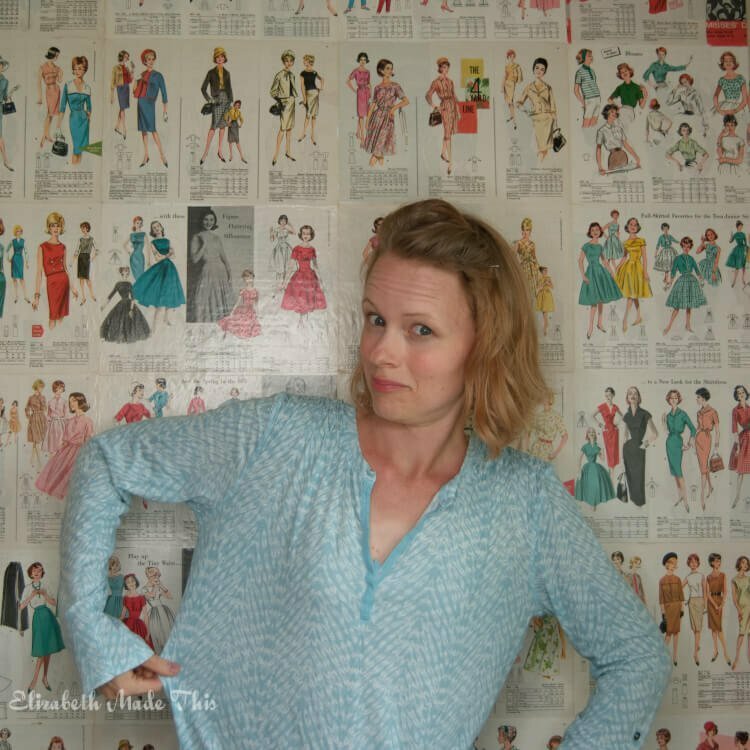 So You Think You Can Sew is a little competition put on by That Sewing Blab which is a weekly internet show about sewing hosted on Crowdcast at 7:30 Eastern time by Dawn Pengelly of Duelling Designs and Myra Rentmeester of Simple Inspirations. I created this chevron trim dress for my round of the competition. The round started a few weeks ago with my and my fellow competitor opening up a package of mystery trim on the show. There was much silliness, and by the end, we had a little over 2 yards of this elastic trim. The black trim has silver metallic threads running through it. My first thought when I opened the trim was, eek, it’s black! 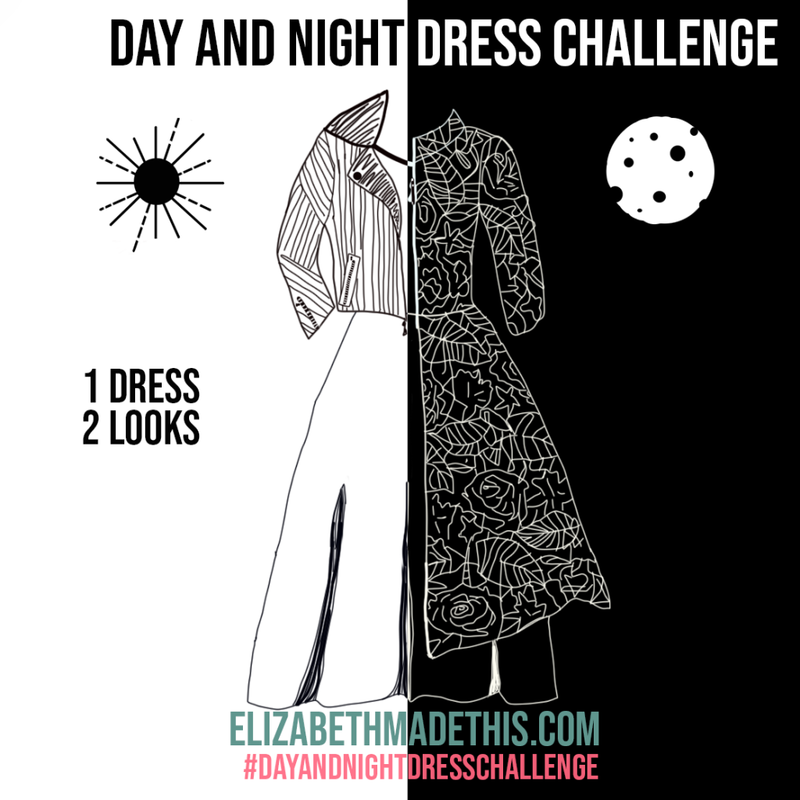 If you’ve been around Elizabeth Made This for any length of time, you will note that dark heavy colors like black are things that show up seldom in my own personal wardrobe. I knew that using this trim to make something that kept the same softness in form and color that is more my style was going to be a challenge. I recently finished a pattern test for DG Patterns’ Tessa Sweater. My project for that I’ll save for another day, but I will say that I love the wrap neck design of this pattern. Any style of sweater dress that I can wear in winter without adding an extra scarf or cowl is fantastic! My idea was simple–I wanted a paneled bell sleeve hem with 3 layers of chevrons–one in black, one in silver, one in white. 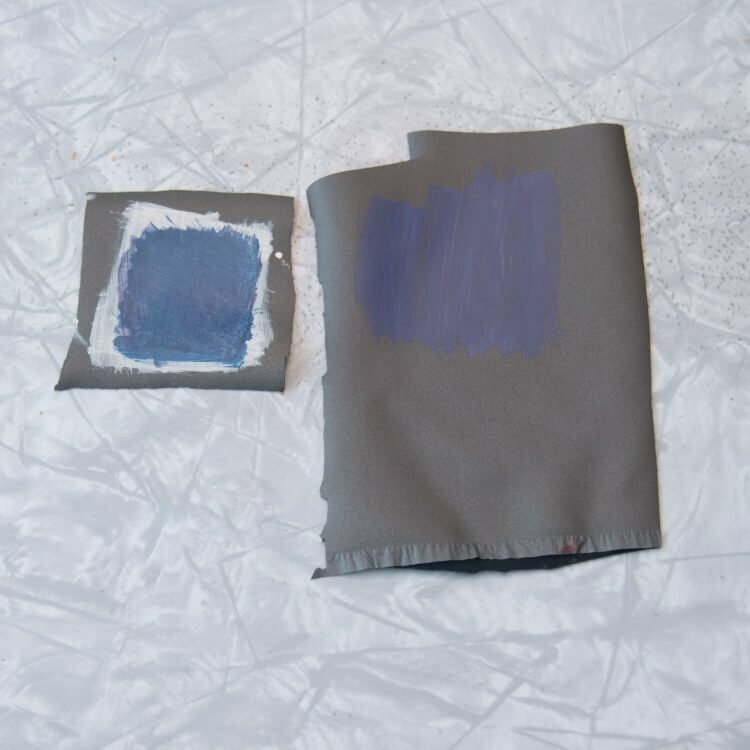 The silver would bring out the colors in the trim, and the white would be the bridge between the trim and the softer blue of the dress fabric. Originally I wanted periwinkle, but Colorado Fabrics had this slightly darker blue metallic jersey that caught my eye. For the sleeve, I decided where on the pattern I wanted the bell to start. Next, I measured the circumference at that point and divided by 8 as I wanted 8 panels on the sleeve. Then, I drew the slope of one size of the chevron (4 chevrons total around the sleeve). I used the same slope for the hem, but the hem is slightly wider at the bottom so that it does indeed flare out. It’s a subtle flare, but it’s there. After I added seam allowance for the sides and top of each piece, I added 5/8″ at the bottom of the panel. I did make a facing piece by eliminating all of the seams and making one giant chevron piece, but added only 1/4″ for hem allowance. Each of the sleeve panels is pieced together to make a complete bell. Then I sewed the ends of the facings together to make a tube. Next, I sewed right sides of the bell and the facing together at the hem. Because there was a little extra on the outside piece, the facing does NOT peek out on the bottom. The facing and the bell are basted together at the top. Eventually, after the trim, I sewed the bells into each sleeve. 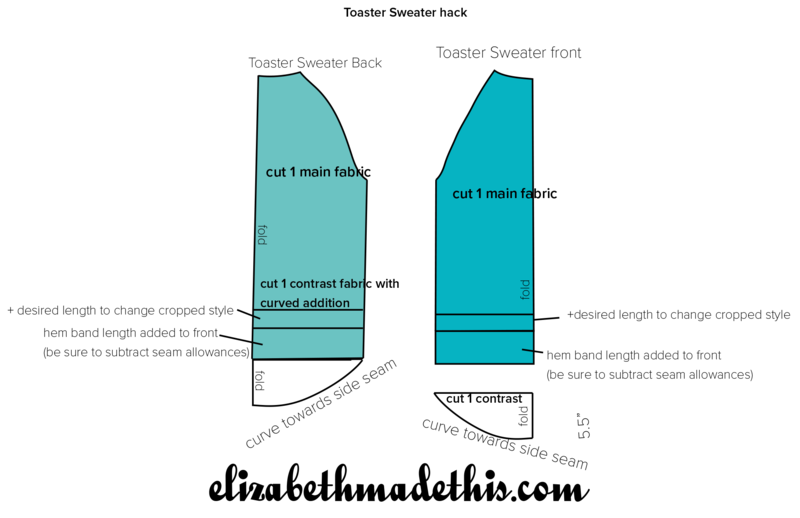 Each sleeve was cut with the same chevrons. The effect of the chevrons going straight from the sleeve into the bell got a little lost I think because of the trim, but hey, sometimes things don’t work out exactly how you want them. After I calculated how many chevrons it would take to go around the hem, I traced out half of that on paper to be a template for my trim. On the hem, I made the bends in the elastic by sewing a tiny dart at every intersection of the chevrons. This was really slow work. I couldn’t mark the chevron placement out ahead of time. I was afraid the stretch of the trim would give me some inconsistent results. So instead, I sewed one dart, took it back to the template, then sewed the next one etc. On the sleeve, I got smart and instead cut the trim into little parallelograms that would create the chevrons on their own. The downside of this was having to zigzag across each seam to make it flat and so it wouldn’t fray. 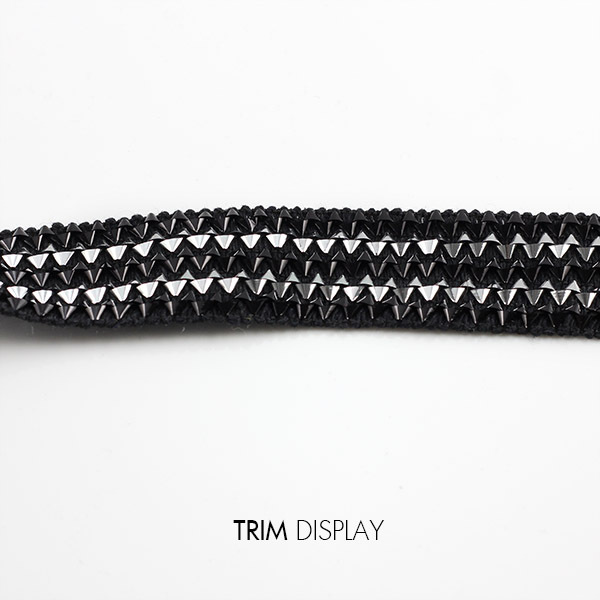 The center silver trim is just the chevron cut at 1″ wide with added 1/4″ on either side. It was much simpler to work with the knit this way especially since this was by far the hardest fabric to work with. I have a feeling it would serge just fine, but this fabric did NOT want to be topstitched. It took several tries with different needles before discovering that a microtex needle was the way to go. Every other needle I tried made for skipped stitches and oddly, shredded thread. The top white trim on the hem is cut from little parallelograms of white foldover elastic. I love foldover elastic for necklines and easy waistbands, but this is the first time I’ve used it as trim. What I discovered is that it likes to fray, so every chevron intersection got topstitched down and got some Fray Block on the ends. To join all three trims, I used Steam-A-Seam. After applying the Steam-A-Seam on the foil knit only, I overlapped the other two trims to cover the tape. I love that the Steam-A-Seam is precisely 1/4″ wide, so it makes for very accurate work. It also kept everything held together as I topstitched along the top and bottoms of the chevrons. The dress itself sewed up very very quickly. It probably took 1 hour total which was good given the amount of time the trim took to make. I hemmed the bottom of the dress a little shorter than normally since the trim itself was 3″ wide. After that, I marked above the hem 1″. Next, I used the chalk line as a guide for the top of the chevron points. More Steam-A-Seam held the trim to the hem while I topstitched around the hem. For the sleeves, I simply applied the trim 1/4″ from the top of each bell. I wish the trim for the sleeves could have gone on the bottom of the bells, but I just didn’t have enough of the black trim. When it was all said and done, I only had 1/2″ left of the trim! I’m happy to say that I won on the voting show! My competitor had a really cute halter top where she made this great inverted T down the front. It was totally her style, and I loved that she highlighted the edgy nature of this trim. I always love it when I see creative people pick up an idea and run with it! In December, I’ll be advancing to the finals of So You Think You Can Sew to take on Melanie Wise of It’s Melanie Darling. If you remember, Melanie and I squared off in the Fabric Mart Fabricista competition last year. and I couldn’t be more thrilled to compete against her again. She is such a wonderful lady and she can stitch circles around people–nay, she does! Catch me on Instagram for more details as the dates get closer! Summer still lingers here so I’m catching up on writing up the last of my summer projects before I move on into my fall makes. Earlier in the summer, I picked up a few t-shirts at the thrift store for refashions. One of them, you already saw me re-make in my Split Flutter Sleeve hack video. The other 3 I decided to remake with some cutout features. 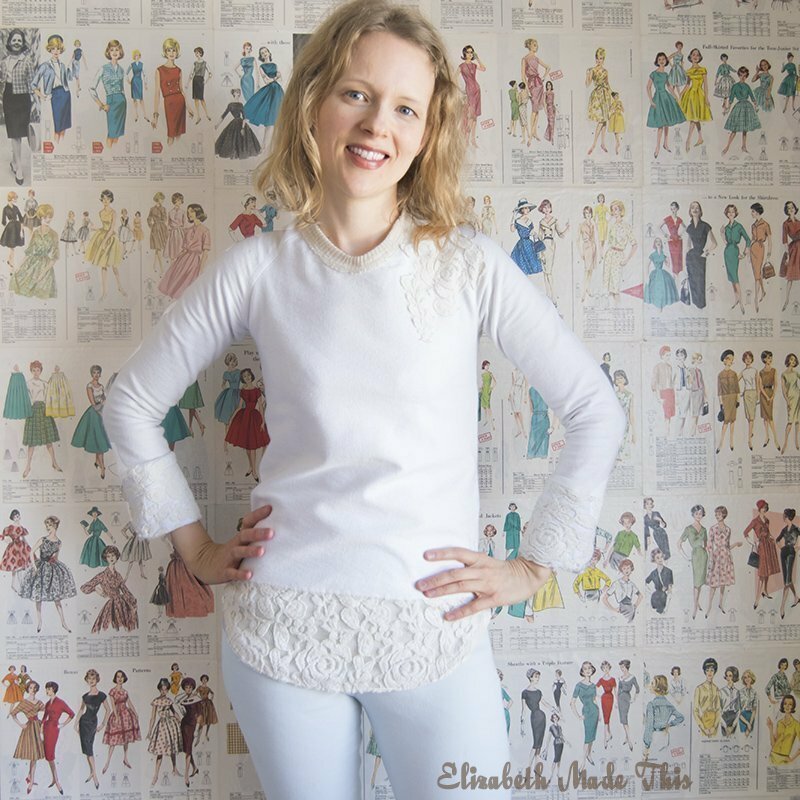 I often use t-shirt refashions as a way to test out ideas and think creatively about knits. So here are 3 Cutout t-shirt refashions for you. Before I show you each one, I have to show where they started. The blue shirt is a cotton Calvin Klein tee that has a low v in the front that’s trimmed with twill tape. There’s also some smocking on the front shoulders. The blue is one of my blues in my color palette, and I really liked the print. It’s not often that I find prints that are perfectly in my palette, so when I find them, I grab them. The varying stripes on this white/peach cotton tee were really intriguing to me. I’m a big fan of Pauline and her amazing stripe creations, so I thought I’d try my hand at doing something to utilize the stripes in a way that she might. 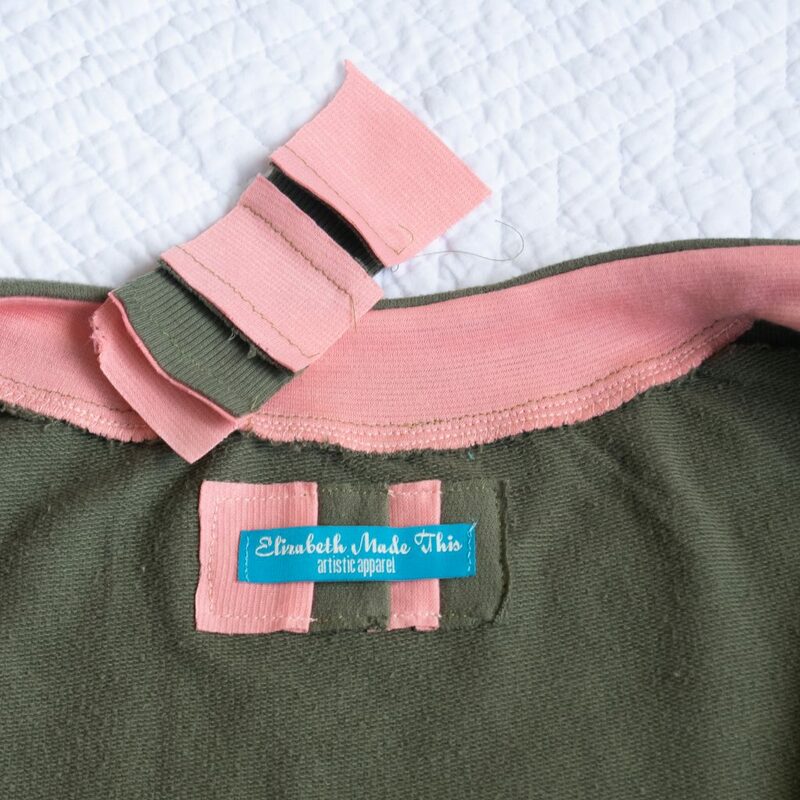 Spoiler alert on this green J Crew tee. It did not turn out as I wanted. It’s one of those evil cotton knits that expand when you blink at them. As such it did not do what I wanted it to do. I should have passed by it, but the green was so pretty, and it was J Crew so I figured (erroneously) that it was quality. Dear J Crew, you really should do better. My older two boys play baseball, and there was one night we were leaving practice and I saw another Mom with the cutest tee. It had a back low v-neck with an X made from strips of the fabric across the upper back. I liked it so much, I scrawled a rough sketch on a scrap of paper in the car. Do you do this when you see a cool detail on someone on the street? The blue tee was easy to turn into a version of this. I cut the back from the front since it already had the v-neck detail. I also scooped out a little bit more of the neck. The bottom of the twill tape was too low for a back (and really for a front too), so I stitched it up the now center back to a better height. I cut a couple of 3″ strips to make into turned tubes for the X back. Because the corners of the twill tape were a little floppy on the back, I attached one end of each of the X strips to the corners. The other ends I attached under the new neckline after it was bound. I pinned each of the other ends under the neckline after it was bound to the point where the X and the corners of the v-neck sat taut across the back. The front is a simple neckline somewhere between a scoop and a crew, and I gave this one cap sleeves which have been perfect for summer. 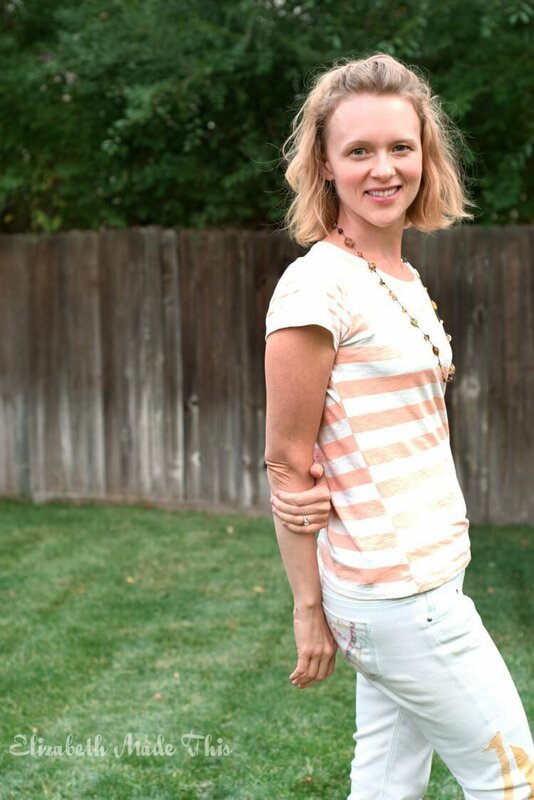 My inspiration for this tee came from this Anthropologie tee I pinned on my t-shirt hacking board. I didn’t really like the gathered portion of the back, and the ties seemed overly fussy. Instead, I opted for a plain yoke with the peekaboo center back beneath it. My kids really got a kick out of the peekaboo when I was in the process of making it. I was really lucky that I had not only a lot of extra width to deal with in this tee but a lot of extra length too. I was able to cut the lower back with offset stripes. They match the front on one side and are offset on the other side seam. The upper back I cut from one of the sleeves, though I had to cut in in 2 pieces which I overlapped and stitched down with my coverstitch. From the rest of that sleeve, I cut a bias tiny pocket for the front. Can you believe that I could cut both of the cap sleeves from the other sleeve? It’s not too often that I can do exactly what I have in my head in a refashion, but this was one of those times. So for the green tee, I wanted to do a cutout on the shoulder a bit like this Express tee. I knew that I wanted to make a bit of lattice work under the cutout, and that’s where things went south. This green knit could not handle the extra manipulation. It did not have the extra recovery it needed to stretch across the gap and hold well without overstretching. You can see that the back neck is bagging out too. This fabric had humble aspirations of being a plain basic tee and that’s it. At first, my lattice ended up all stretched out and horrible. I was able to unpick it and redo the intersections so that everything sat flat. If only I had made the left front with the cutout from the beginning too instead of binding the armhole THEN cutting it out. 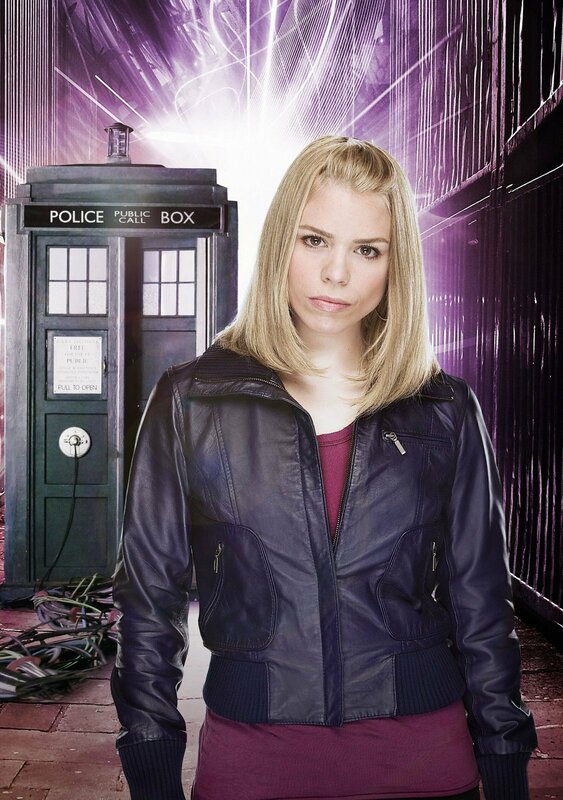 I think that would have been a cleaner look. Still, given the recovery issues with the knit, I’m not sure I would have gotten a better result. Ultimately, the tee is wearable, but it’s just not my best work. I’d really like to try this idea out again this time from yardage in a more appropriate knit. 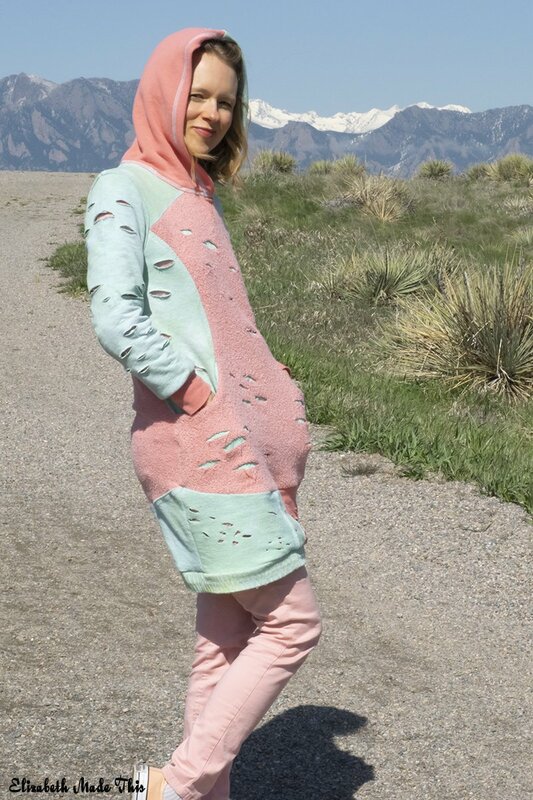 What the worst knit that you’ve ever sewn? Could you salvage your project? What did you learn in the process? 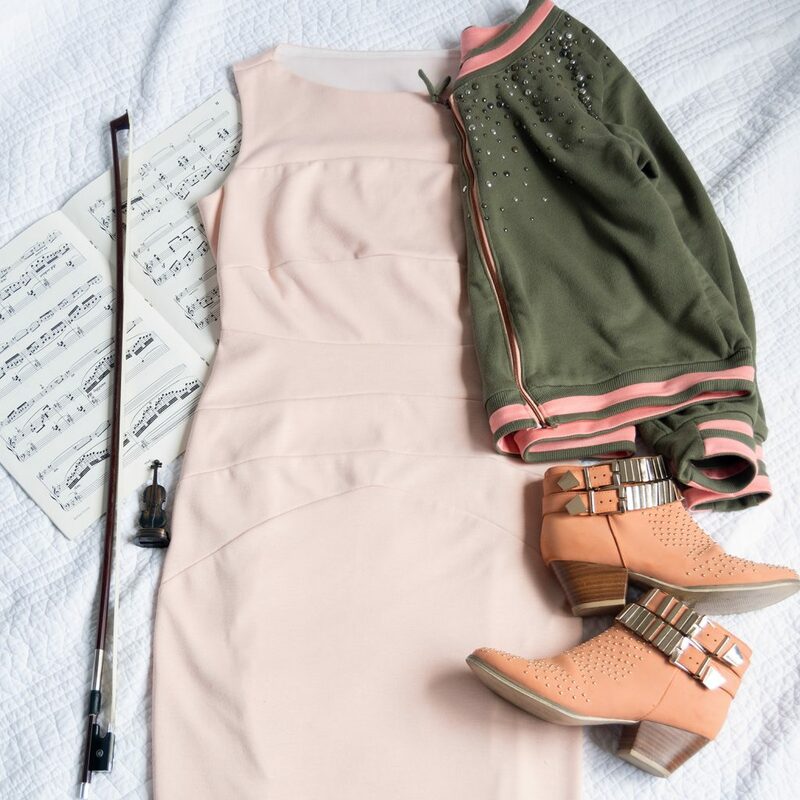 Have you ever found yourself inspired by childrens’ clothing? 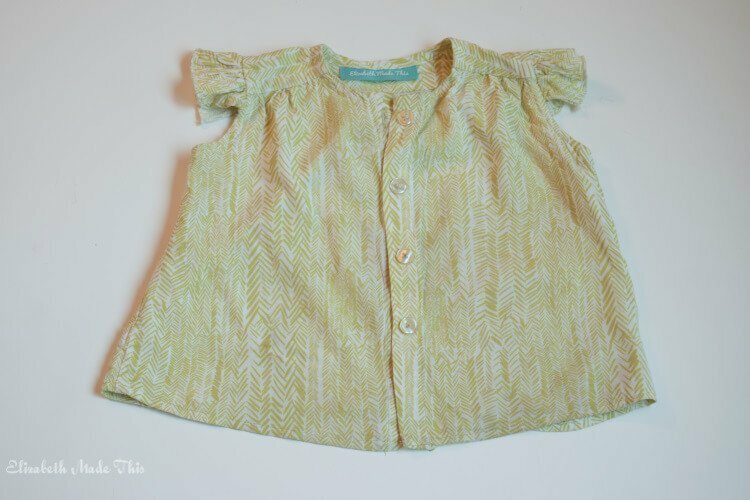 I’ve been on a bit a spree lately sewing these sleeveless shoulder frill tops for my daughter. This particular one is Ottobre 3-2017-2. Ottobre must love the little shoulder frills too because there’s a variant of the same style in every size range in this issue. After the 3rd one, I could stand the cuteness no longer. I had to make my own version! In addition to the frill on the shoulder, there’s a back yoke with pleats/gathers. To be honest, I didn’t look at the specific directions. 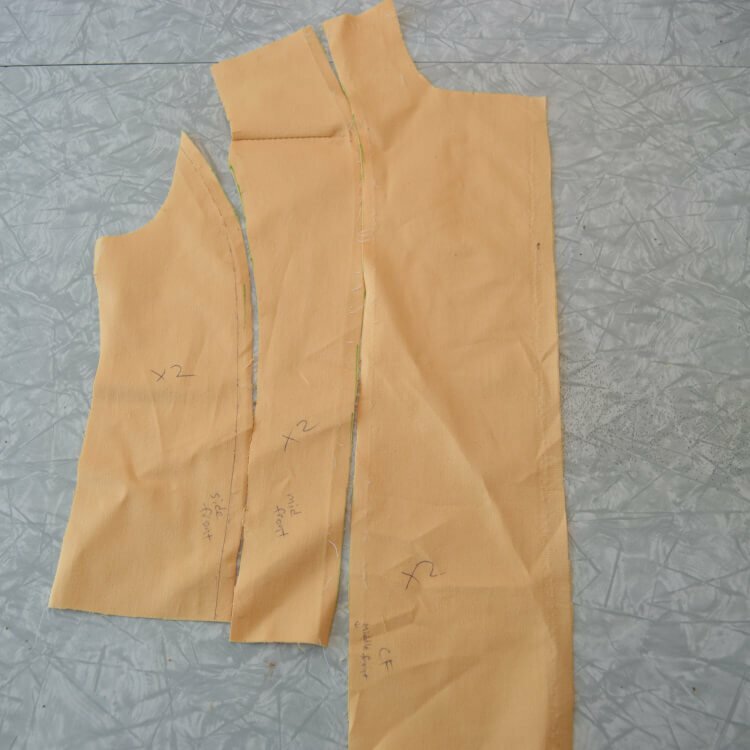 On the rayon challis version I used gathers. The turquoise blue floral rayon has pleats, and I used a mix of pleats and gathers in the beach print. Everything about this top is built for efficient sewing. 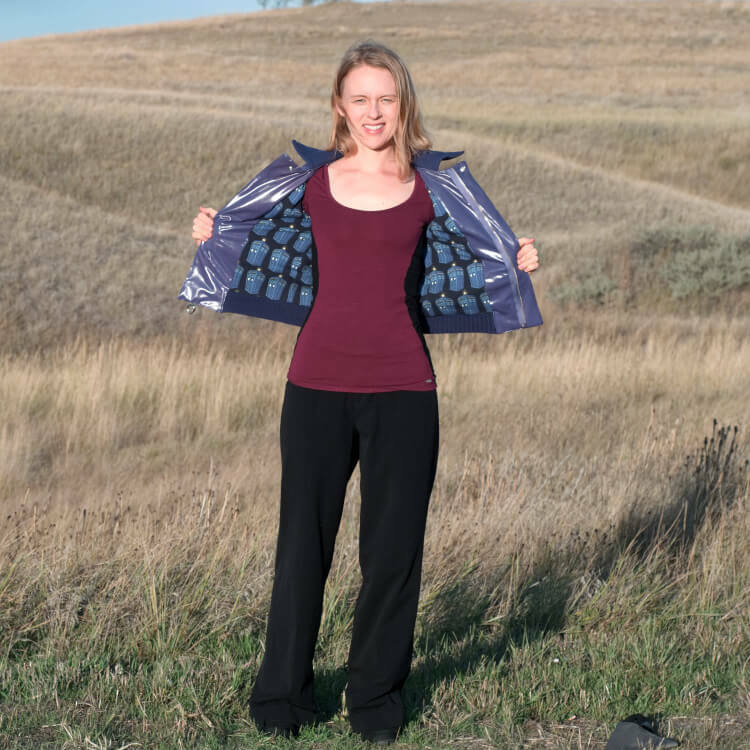 There’s no double layer on the yoke to finish the inside and the lack of a collar make for an ultra fast sew. The directions want you to do a narrow hem on the frills, but I chose the even easier serger rolled hem. Don’t say I didn’t tell you you’ll want to make a million of these. The front placket has 4 buttons and the armholes and neck are finished with bias strips. This is one thing I love about Ottobre patterns. Bias cut straight from the fabric you’re working with is so much nicer than packaged bias binding. It always matches and there’s no hand change between the binding and the fashion fabric. For sensitive baby skin this is a plus, and visually it’s a clean finish. I did do a double layer yoke on the rayon challis. It really needs the extra support because of it’s light weight and slippery hand. 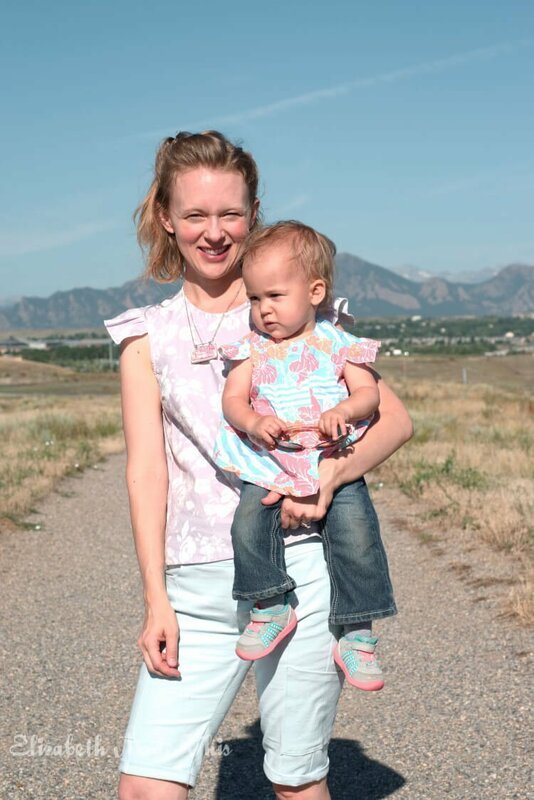 Also, even though I love the fabric, rayon challis just might not be the best choice for an active toddler. 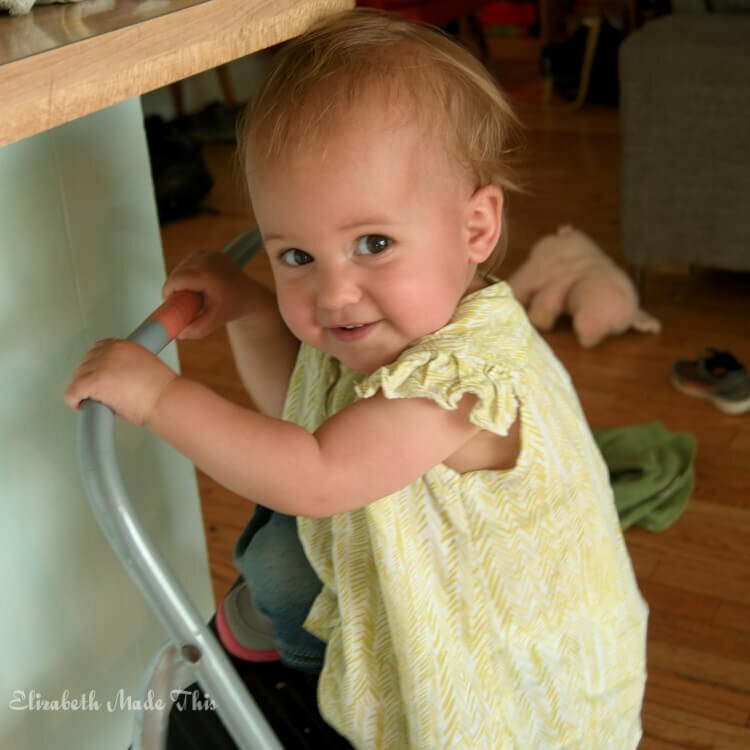 The heavy duty laundry treatment that kids’ clothes require are not coinciding with the more delicate cool water and ironing needs of the rayon. I have some stains to attend to on this top at the moment! This fabric is from my San Francisco fabric haul (from Fabric Outlet), and I will be ordering more. I’m crossing my fingers that there’s still more at the store. 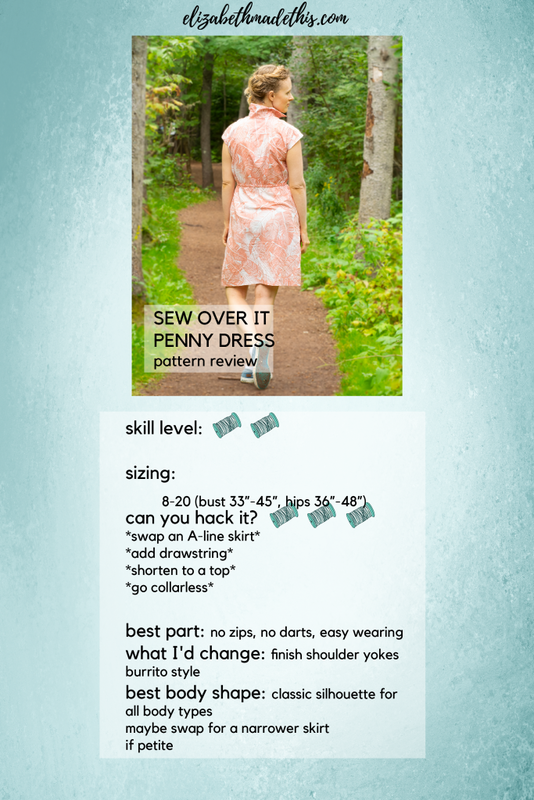 I’ve already used mine for a dress that I pattern tested for Designer Stitch this last week. 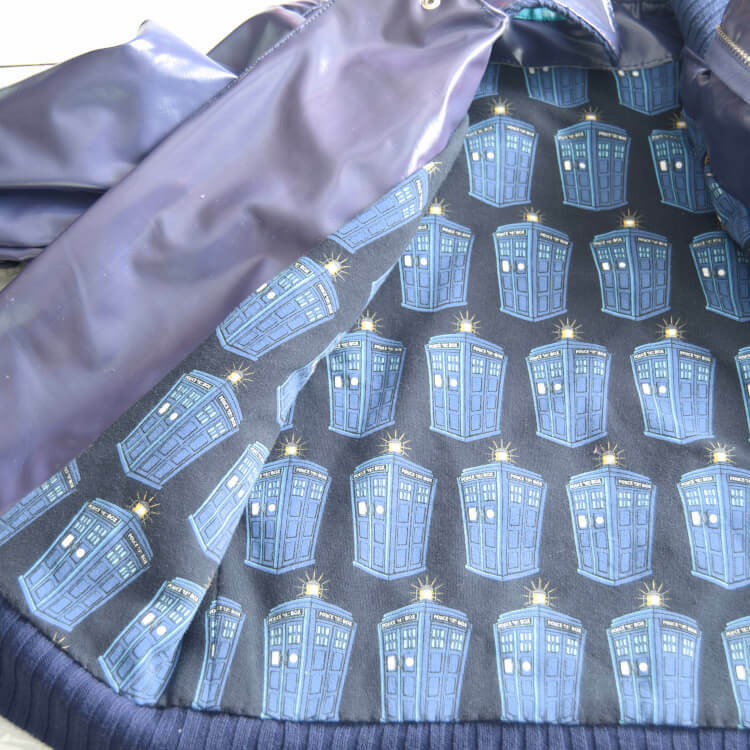 This fabric is a dream for kids and adults. 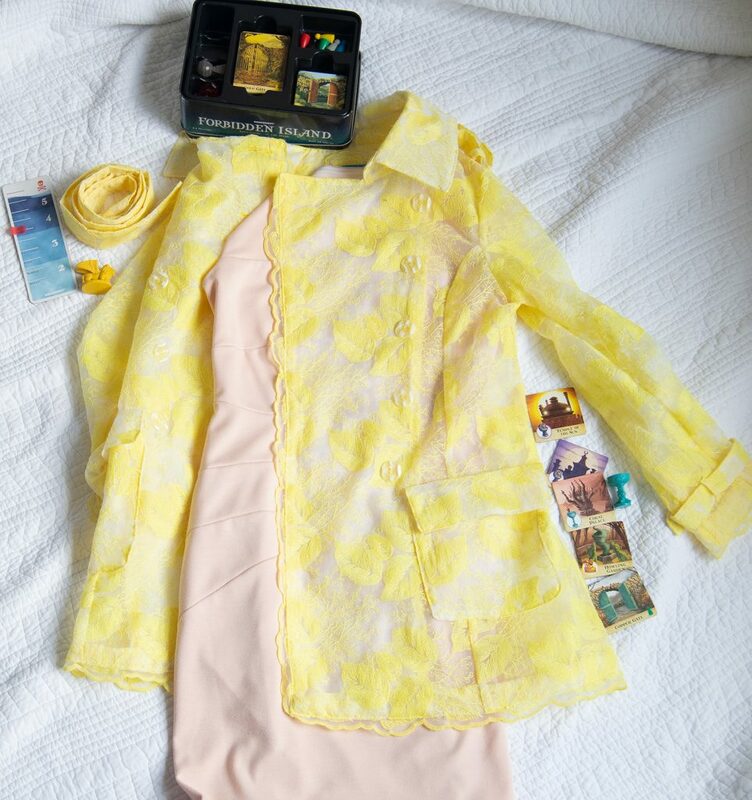 It doesn’t wrinkle (perhaps it’s a rayon/poly blend? ), it has a beautiful drape, and it has enough weight to not require a lining. The pleats were a little slippery, but I could easily finish the insides with my serger. The bias was fiddly to deal with on the arms as it wanted to roll all over the place. Hand basting kept things neat and it made for faster sewing. Also, the edges of the frills look wonderfully crisp with the serger rolled hem. This beachy print is one of the remnants I found at Fabrix. They had tons of fabric meant for board shorts, and I’m pretty sure that’s what this is. It has that kind of stiff finish that board shorts have. The base is definitely cotton. By far, this fabric was the easiest to sew of the lot. It pressed well and I didn’t have to pin or baste the bias at the armholes. I love the combination of the bright orange and pink leaves with the blue stripes. After this one, I dropped everything to make my own version. This is hardly a hack it’s so simple. I started with DG Patterns’ Olvie Top as my base because it’s what I had on my table. Any woven sleeveless tank would work for this. 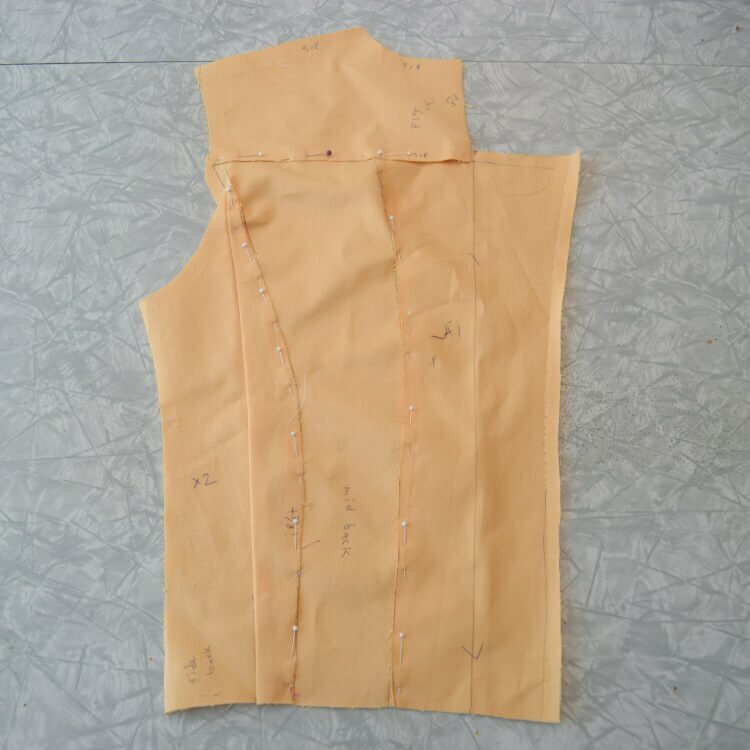 Measure 3″ from the shoulder seam along the armscye on the front and the back and make a mark. Cut two 3″x9″ rectangles on the bias for the shoulder frills. It’s important that they are on the bias because they will make for a frill that drapes better. Mark the center of each frill. Finish the short edges and one of the long edges with a serger rolled hem or a narrow hem. Run a basting stitch along the edges of the frills and pull the bobbin threads to gather. 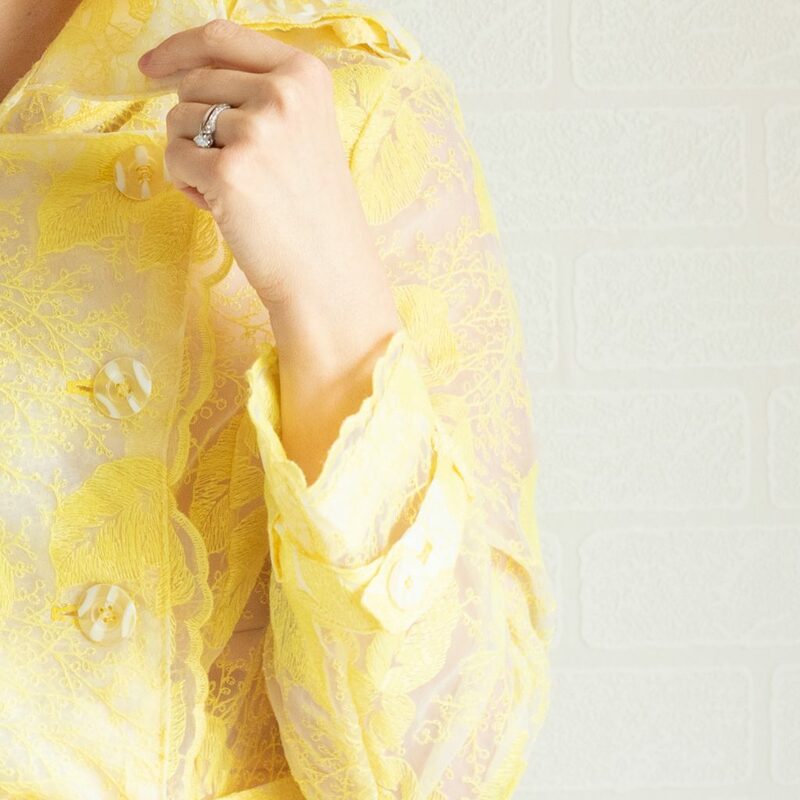 Match the frill center to the shoulder seam. Distribute the gathers so that the ends stop at the marks you made in step one. Put right sides together and stitch the edge of the frill to the armhole. Finish each armhole with bias tape. The frill will be sandwiched between the bias tape and the right side of the top. There you go. Super easy. I will say that I closed up the back darts and made a back yoke as well as adding some fulness in back pleats. It’s not necessary, but it makes it a little bit more like my daughter’s top. I made mine from leftover fabric I salvaged from a really nice 100% cotton shower curtain. I bought it a few years ago to make an apron. It caught my eye because it’s one of my purples and it had a beautiful hand that’s way nicer than any shower curtain has the business of being. 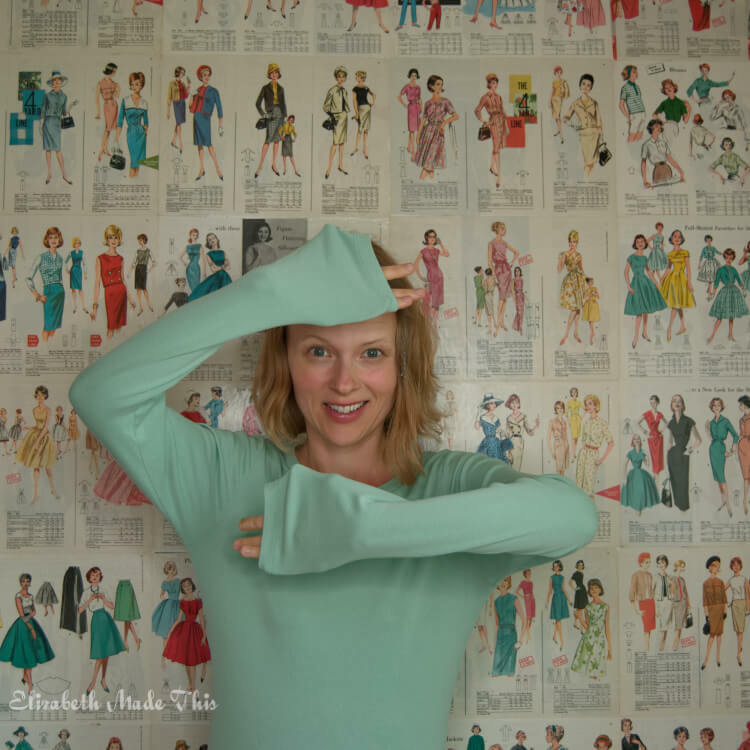 I have the sleeved version of this top on my table right now, and really, it needs to have the sleeve. 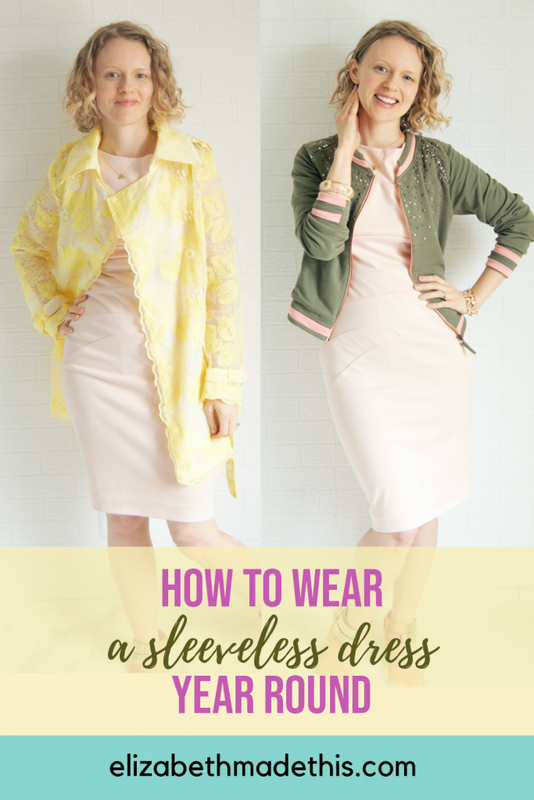 100% of sleeveless armholes need to be adjusted for me for proper side coverage. In my petite state, I’m extra short between my shoulder and base of my armscye. 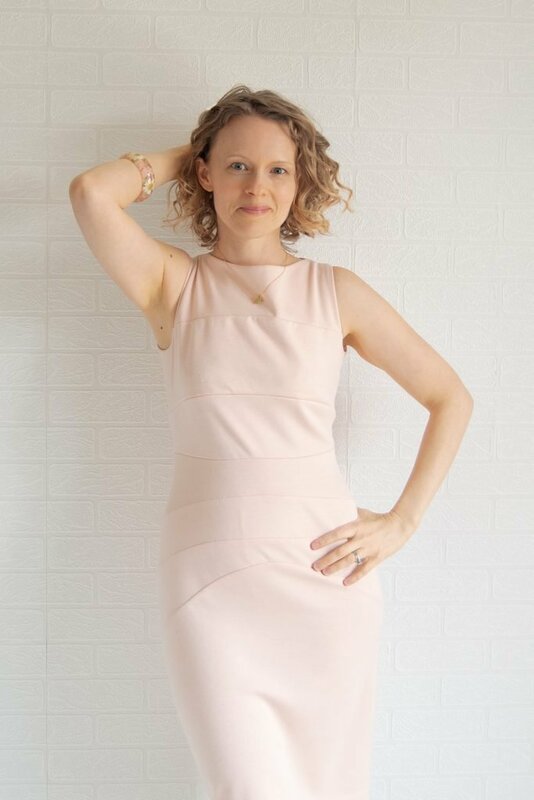 I usually don’t have a problem once a sleeve is popped into the armscye, but sleeveless styles are chief among my fitting nemeses. To fix this one, I’m going to have to open up the side seams and make a vertical dart basically that takes the bulk out at the armhole and tapers to nothing where the bust dart is. This will narrow the overall circumference, but there’s more than enough since this is a loose fitting style. There’s a center back seam on the pattern, but there’s no directions for a zipper. The neck is very close fitting, so you really need to have some sort of back closure. I ripped my muslin in the neck at CF in the process of getting it over my big noggin. An invisible zipper would work well, or you could fold back the seam allowances to finish them at the top 4″ or so and add a loop and button. I chose to add an exposed zipper with one of the zippers I found in San Francisco.